We are now accepting new patients! Please call Sheila or Torie to schedule your first dental appointment. Our phone number is (512) 556-2090. It is not uncommon for people to feel some anxiety before seeing a new dentist. This page will tell you what to expect during your first visit. Scroll down to read all the information, or click a link to find your specific question. If you have questions or concerns that are not addressed on this page, please give us a call. We’re happy to help you out! Sheila or Torie personally manages our office schedule. Give them a call at (512) 556-2090 to make an appointment. 2. What should I bring to my first dental appointment? To ensure accuracy and save time during your first appointment, you may want to print our New Patient Forms and fill them out at home. If you cannot print them in advance, we will be happy to provide you with hard copies. Please arrive 15 minutes early before your first appointment in order to complete them before your appointment. Please come prepared to answer questions about your medical history, including allergies, medications, diagnoses, and ongoing treatments. In addition to your medical information, please bring your dental insurance card (if you have one) so we can file your claim. 3. Do you accept dental insurance? We provide direct billing to almost all dental insurance companies and will do our best to help you maximize your dental benefits. We are not “in network” with any dental insurance plan. If you have dental insurance, be sure to bring your insurance card with you. 4. 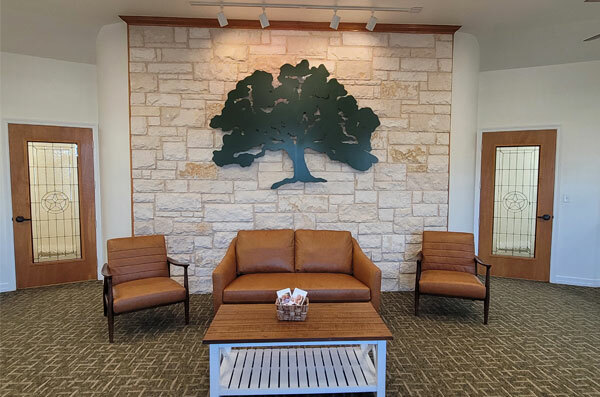 What kind of care will I receive at Lampasas Dental Center? Our goal is for our patients to have excellent dental function and aesthetics for their entire lives without excessive treatment and expense. In order to meet this goal, we follow three specific objectives in all services that we provide. We recognize that different individuals have different dental needs. For that reason, we offer several options for treatment when possible. We are happy to discuss the costs and benefits of each option with our patients before going ahead with a procedure. We believe that quality dentistry requires time and concentration. We take the time to ensure that each patient is comfortable while they are here and happy with the results when they leave. We do whatever we can to help our patients keep their natural teeth. Although we work with excellent labs to provide high-quality prosthetics, no artificial replacement can match the durability and comfort of natural teeth. That is why we encourage regular cleanings and checkups, and we focus on comfort, aesthetics, and durability in our treatments. If you would like more information on specific dental procedures, see our Services page. 5. How often should I get a dental examination and cleaning? Every individual has unique dental needs. Some people require an exam and cleaning once or twice a year, and others need to be seen more often. Even if you don’t have any symptoms, a regular examination can help prevent problems before they start. 6. What does an examination and cleaning include? During your first appointment, we will collect your medical history, record your blood pressure, and take x-rays of your teeth. A hygienist will clean and polish the teeth, including areas around the gums that cannot be reached with a toothbrush or floss. After your cleaning, Dr. Felkner or Dr. Leavell will perform an oral cancer screening and an evaluation of the temporomandibular joint (TMJ) and muscles. They will closely examine your teeth and gums to check for decay (cavities), periodontal (gum) disease, excessive wear, cracked or discolored teeth, and other possible oral health problems. By performing this examination and viewing your x-rays, the dentist can often identify problems before you see or feel them, making treatment simpler and more affordable. We are normally open from 8:00-5:00, Monday-Friday Thursday, with a lunch break from 12:00-1:00.